An in-depth look at Mike Boynton’s latest pledge. Oklahoma State landed its first commitment of the 2020 recruiting class Sunday evening from Jacksonville, Arkansas guard Davonte Davis. Mike Boynton starting off the 2020 cycle with a four-star caliber player like Davis is huge for the Cowboys. I wanted to take a deeper dive into what his commitment means for the future of this OSU squad. Davis flew under the radar early on in his high school career due to playing for small charter school Jacksonville Lighthouse. 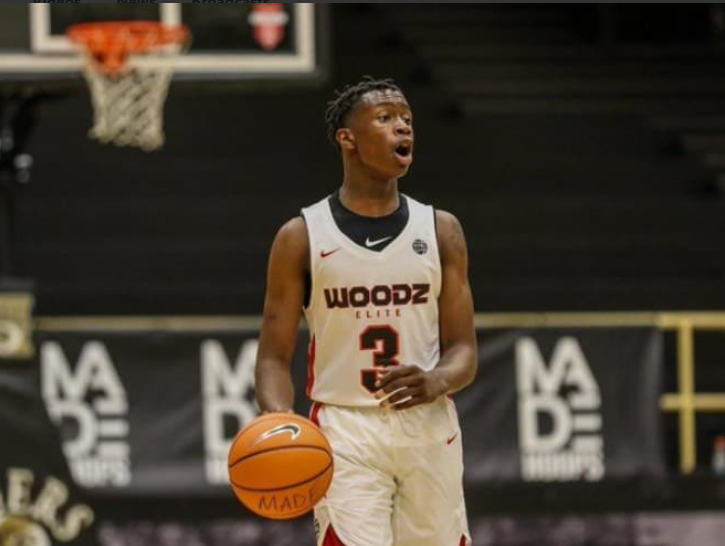 His recruiting really picked up this past summer on the AAU circuit with his team Woodz Elite. Before announcing his commitment this past weekend, Davis also held offers from Arkansas, Auburn, Florida, Ole Miss, Oregon and SMU. The young guard had recently missed a couple of planned unofficial visits to Arkansas in November. Also, coach Boynton was in to see him play this past week. Davis is currently ranked 91st nationally on 247Sports and 123rd on Rivals.com. The first thing I noticed from the 6-4 (have also seen him listed at 6-3) guard is his incredible court vision and passing ability, shown in the video below. He definitely shows some flashes of Jason Williams in his ability to find the open man. In addition, Davis is a very gifted ball handler and an elite scorer. He also is extremely long and athletic and has solid hops for his size, displayed in the following clip. I wouldn’t classify the four-star recruit as just a “pass-first” or a “scoring” guard because he does both incredibly well and can take over a game in either aspect. He looks really comfortable running the fastbreak and playing in an uptempo style, and brings that same aggressiveness and quickness to the defensive end of the floor. In terms of areas to improve, he will need to continue to grow as a leader on the court and show he’s able to command an offense when the game slows down. Additionally, his outside shot is still a work in progress, but this is something he can continue improving throughout the remainder of high school and into college. Davis is pretty much a perfect fit with how coach Boynton likes to play basketball on both ends of the floor. As I mentioned above, he loves to get out and run and does an excellent job of both facilitating and scoring in transition. In addition, his athleticism and quickness will allow him to get up in the passing lanes, but also not get beat by backdoor cuts. His aggressiveness and intensity on defense, both on and off the ball, give him the ability to quickly turn defense into offense, as he shows in the video below getting the steal and then scoring on the break. The Arkansas native is listed as a point guard on 247Sports and as a shooting guard on Rivals.com. He does well both on and off the ball, but I could see him primarily playing the point at the next level. Even though Marcus Watson is listed as a guard on 247Sports, I believe he will play the small forward position in college, so I excluded him from the list above. As you can see, point guard, and the guard spot in general, is a position of need looking past 2019 and into the 2020 season. The Pokes obviously still have plenty of time left in the 2020 cycle, but it’s a great get for Boynton and staff to land a four-star guard this early in the process.